It's been a week since the deadly shooting rampage near Santa Barbara. Much attention has been paid to the apparent perpetrator's mental health status. "It is still possible to live a really exciting, thriving, magnificent life, even with those limitations." Horrific events -- and the intense media attention paid to them -- feed a false perception that people with mental illness are violent. They are not. They may be more likely to be victims of violence than to cause it. For people who live with mental illness, the timeliness of the Isla Vista rampage is especially wrenching -- May is Mental Health Month, a time when community groups are trying to stress the importance of protecting and promoting mental health. 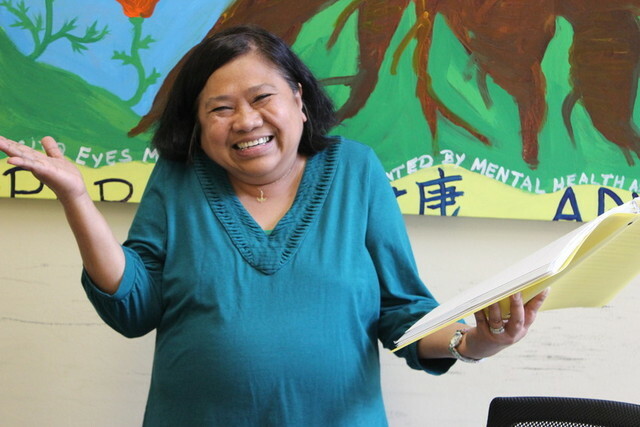 The Mental Health Association of San Francisco (MHASF) works together with its umbrella organization Mental Health America in working to change attitudes towards mental health and mental health care. They group says believing people who are mentally ill are likely to be violent is just one of three major stigmas they encounter. The others are the perception that people with mental illness are childlike or incompetent. MHASF is trying to break these stigmas down and create a new dialogue through an innovative peer program. People who have "lived experience with a mental health challenge" are resources to others who need help, rather than solely relying on traditionally-trained clinicians. Perhaps the most poignant example of MHASF’s peer-based approach is SOLVE - Sharing Our Lives, Voices, and Experiences - a speakers’ bureau where people who have lived through mental health conditions share their experiences, train others to tell their stories, and in doing so continue their own healing. These four SOLVE speakers paint a different portrait of the face of mental illness -- and mental health. Lewis has suffered what he describes as “debilitating depression,” following the loss of his job and broken relationships. Despite having two graduate degrees, including a doctorate, he found himself homeless for a period. When he felt he had hit rock bottom, he sought help. David says he considers himself lucky for having found conscientious doctors that understood him and treated him well. He has put his life back together and now lives well with his depression diagnosis. in addition to becoming an advocate for mental health, Lewis took up photography. 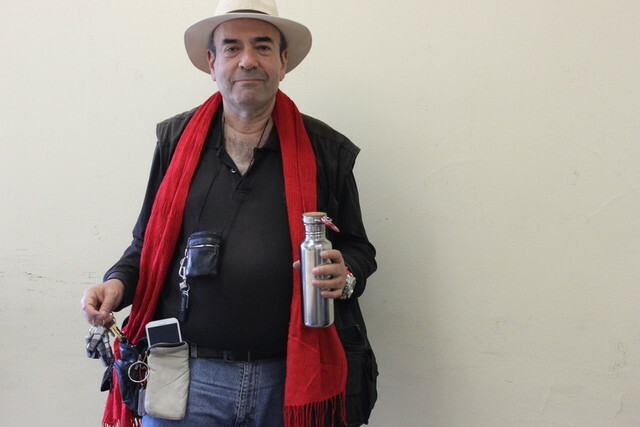 Among several other hats he wears, Lewis is co-chair of the Mental Health Board of San Francisco, and is helping design crisis intervention training programs for police officers. The goal is to focus on verbal de-escalation and other techniques to handle those going through a mental health episode. By the time Siataga was 11-years-old, she already felt like she wasn't accepted anywhere. She had suffered physical and sexual abuse, but says her Asian-Pacific Islander family did not permit discussion of any mental health challenges. She turned to a gang for refuge and simply tried to suppress all she had been through in an attempt to deny that she was struggling. Siataga says the biggest thing SOLVE has done for her was to help her break her own stigma about herself. Only after she could admit she was struggling did her own recovery begin, she says. She received several diagnoses, including bipolar disorder, depression and post traumatic stress disorder. She is now off medications and says she uses her activism as a form of therapy. Siataga helps run workshops to prevent gang violence, including the "Gang /Turf Violence" workshop at the first-of-its-kind Pacific Islander Violence Prevention Conference. 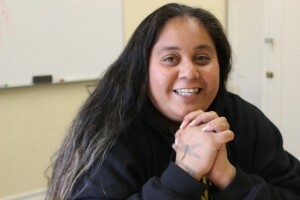 The workshop will look at increasing gang violence among Pacific Islanders and strategies to combat the lure of young Pacific Islanders joining gangs. When Leonila graduated high school in the Philippines, her mother cried. But they were not tears of joy. Adams' mother was crying because she thought her daughter would never go to college. Adams has severe bipolar disorder, and her mother cried to her, "I know this is the last time I will see you graduate." Adams says employers, counselors, and even doctors have echoed that sentiment over the years. But Adams persevered. She went on to college, first earning an Associate's, then a Bachelor's degree. Today she is a full-time case manager with Family Services Agency in San Francisco. Every day, she works with people who have severe mental challenges or substance abuse problems. Finally, she was just accepted to California Institute of Integral Studies to become a counselor. Oddly, Adams credits her mother with motivating her. “What my mother said, that I will never graduate past high school, … it kept me going,” she says. As a testament to how different people recover differently, Leonila says that her faith in God, and her faith in what she can do, have pushed her to succeed. Today, Wang is a successful writer. She's won numerous awards and fellowships. But when she was 19, she was asked to leave Yale University. In an essay, she describes that she had been diagnosed with bipolar disorder in the summer before her freshman year. By the beginning of her sophomore year, she had become desperately ill. While the struggles of her bipolar disorder have changed and interrupted her life, Esme says the challenges she most commonly faces are the ones that come with how other people respond to her mental health conditions and assume things about her. After Wang was asked to leave Yale, her family became much more supportive. Ultimately, Wang transferred to Stanford where she graduated with stellar GPA and a degree in psychology and creative writing. She later earned a Masters degree in creative writing. 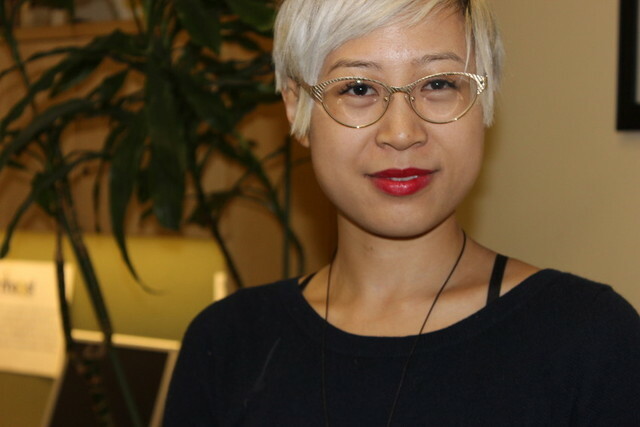 In addition to her writing, and the work she does with SOLVE, Wang is working with a think tank to come up with a set of best practices regarding colleges and universities -- and how they manage (or don't manage) students with mental health challenges.